Have you ever considered building a mirror maze? If you want to start or add to your entertainment business, you might want to get this type of amusement some serious thought. Of course, mirror mazes aren’t quite as simple to start as, for instance, purchasing a bounce house. But they can be extremely profitable from the very beginning. People love mazes. Whether it’s a corn maze, a museum maze, or even something rigged up in the back yard, they’re always a hit. But NOTHING beats a mirror maze! 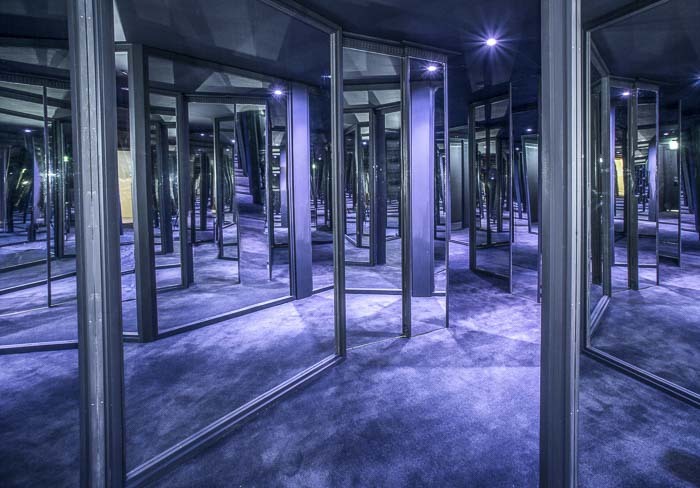 A mirror maze can be confusing, exhilarating and a little strange but it will always be fun! Building a mirror maze isn’t like building a standard maze. It’s a little more complicated so you will probably want to contact a good manufacturer to ensure getting exactly what you need. Before you make that call though, have an idea of your space requirements and budget. Without these two things, it’s tough to get going. You’d be surprised at people who start with the maze, then are overwhelmed by pricing and space problems. So, take the time to think through what you want before you call a mirror maze manufacturer. Mirror mazes are extremely profitable if they are built right. Themed mazes are especially fun! Imagine setting up one of these dazzling mazes, consisting of science fiction-style corridors of light and music. Maze design is always important but when you combine the maze, lights and music, you’ll have a sure hit! The most popular Mirror Mazes need to change every once in awhile. When it comes to choosing packages, look for the ability to swap out changeable panels. This allows you to move seamlessly from one theme to another. Remember, you never want your guests to get bored. You want to keep them coming back again, and again. Make sure you choose a manufacturer that will keep the mazes semi-modular, which will make it easy to make changes at will. Consider looking for a maze designer who will give you a package that is compact enough that it can be packed up and moved with ease. Work with manufacturers who will allow you to create 48” walkways. This will allow you to offer a more significant attraction in a smaller space, which will create a much better return on investment. AmazingMirrorMaze.com is a great place to go to learn more about mirror mazes and how they can be used. If you are looking for tips for building a mirror maze, you can find all the answers there. But they have all kinds of other information that will help you choose the right mirror maze for you. Visit the Mirror Maze gallery for some great ideas!